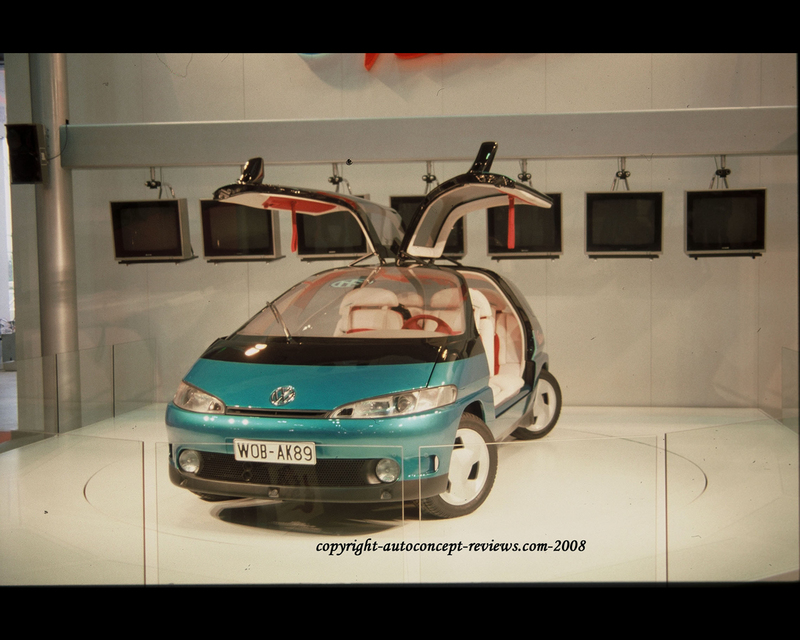 The Volkswagen Futura Concept was introduced in 1989 as a vision of the automobile of the year 2000. It was a condensate of the current Volkswagen technology in ar design and technology. 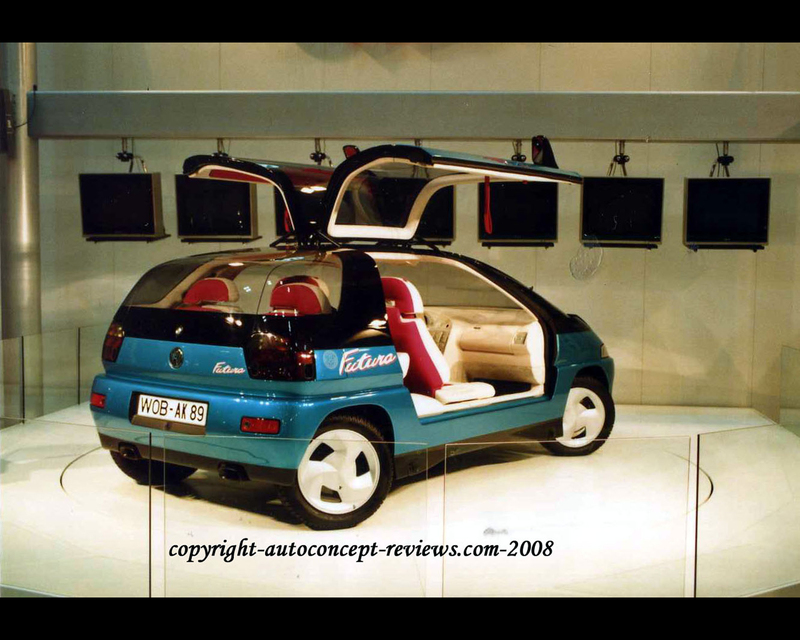 The Volkswagen Futura is a "one box" design, that is the bonnet forms a continuous line with the windscreen. 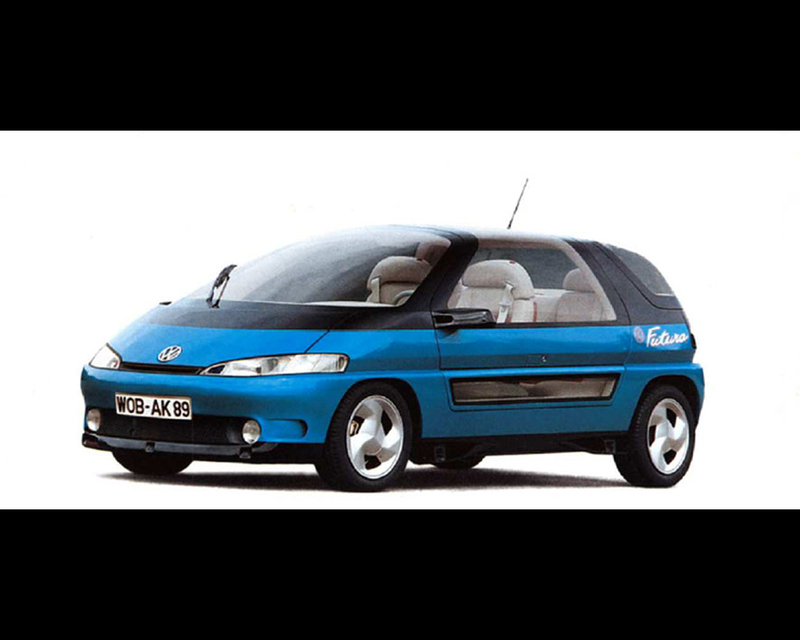 the compact car, presented as a 2+2 seater, has gull-wing doors with removable windows extending into the roof. 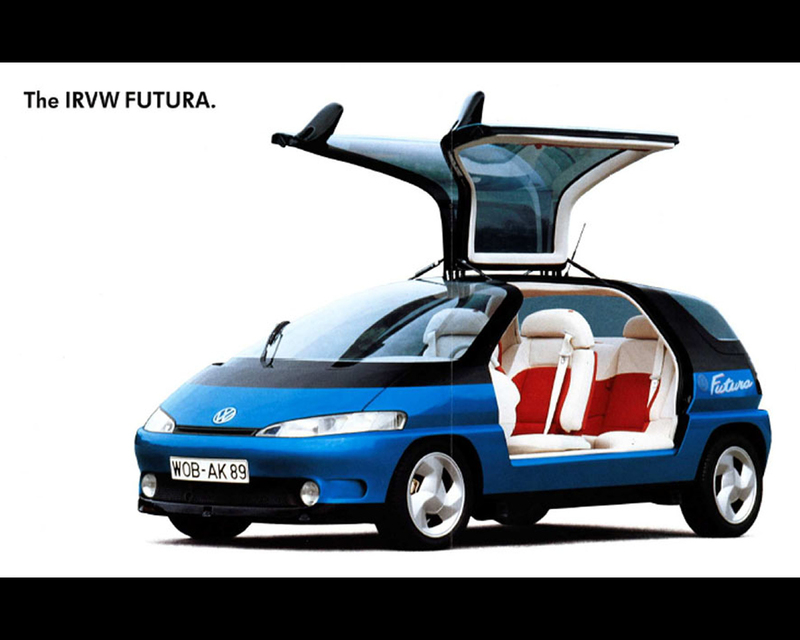 the shaped rear glass panel can also be removed, turning the Volkswagen Futura Concept into an open leisure vehicle. The novel insulated glass blocks 60 percent of heat without impairing visibility. The drive unit of the Volkswagen Futura research vehicle is revolutionary. The 1,7 litre petrol engine has a new type of direct injection, which makes it as economical as a Diesel while having characteristics of a petrol engine. Evaporation cooling and an oxidation catalyst reduce hydrocarbon emissions. All four wheels can be turned on the Volkswagen Futura with electric power-assisted steering which is lighter and cheaper than hydraulic systems. Side winds and road surface effects are automatically compensated. Using the signals from a series of sensors which constantly monitor the distance from vehicles and obstacles in the vicinity, the Volkswagen Futura gives warning of too-close proximities, and at the touch of a button can park automatically in the smallest space. The Volkswagen engineers were in the opinion that traditional instruments were called to disappear; instead the driver will get his information via LED screens. Safety information such as speed, engine revolution and distance from the vehicle in front are displayed constantly. Further information can be called up at the touch of a button. The Volkswagen Futura is 3780 mm in length and weight just below 1000 kg. The engine produces up to 82 hp.